Sri U. Ve. Velukkudi Krishnan Swami started the 19th episode of Sri Ramanin Padhayil by reciting the below sloka. patyate panditair nityam shrotumicchamyaham prabho." 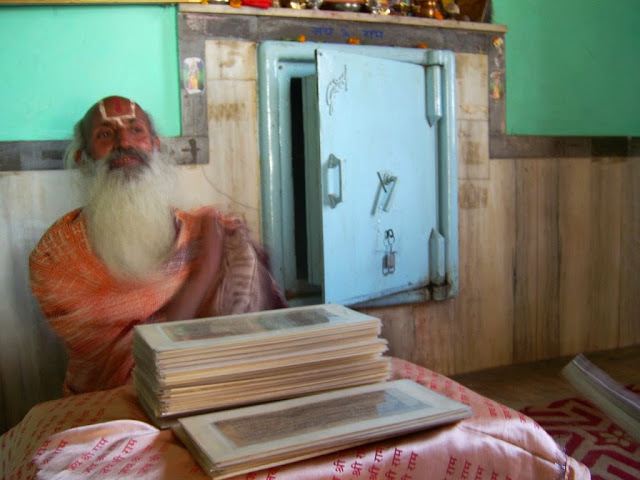 I paraphrase the question: "I desire to hear from my Lord the means by which scholars can read in an abridged manner the thousand names of Lord Vishnu every day." The answer is one of the most recited slokas: "Sri Rama Rama Ramethi Rame Rame manorame | sahasranama thatthulyam Rama nama varanane." The essence of the response is that the name of Lord Rama is equivalent to the thousand names. Chanting and writing namas on a daily basis is an admirable spiritual discipline. Recitation of Ram Nama is a tool and and instrument to alter or transform inner self only. For many years/ages now, we all have been doing lots of bad things knowingly or unknowingly. Today in this busy world, can we find what all bad things we have done and is it possible to come out of it. Can we list out all the bad things and find prayachitam (expiation ritual) for the same. Even if we happen to find the prayachitam, it is not feasible to do it at times. Astrologers tells us about the problem by looking at the horoscope and come up with an prayachitam for the same. We are not sure if the prayachitam told is correct because Astrologer's are not consistent (each and every individual come up with their own problems and prayachitam for the same base on their knowledge, skills and experiences). But Astrology is true. More over is not easy to do the prayachitam's for various bad deeds done by us. To solve this, in the ancient days, general prayachitam as been clearly explained. Specific prayachitam are also there and one can find them and do the same depending on the possibilities. Veda's give us the information on list of bad deeds and prayachitams (redeeming) for the same, but we cannot easily understand or follow these. Hence we have general prayachitams which reduce the impact and will save us from the ill effects of those bad deeds. 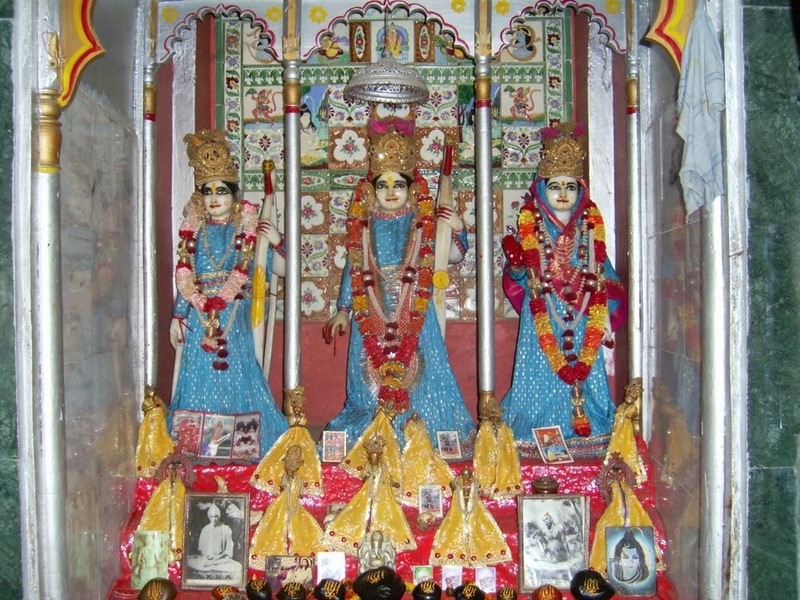 Nama Japam or Nama Sankeertanam is the japa (repetition) or Sankirtana of nama (name) of the Almighty. When we go on a yatra or pilgrimage, all the above points are done or occurring spontaneously, without conscious thought or attention. So yatra is very important for each one of us. Our dear Lord Rama had also gone for yatra. He walked across the Bharata bhoomi in order to make all the bhoomi as Punya Kshetram due to his presence. Keeping this in mind Lord Rama started from Sage Bharadwaj Ashram. Meaning: The devoted sage Valmiki, authored the entire epic of Ramayana, also known as 'The Great Story of Seetha' and 'Paulasthya Vadham' [Slaying of Ravana]. Rama has crossed river Yamuna in an effort to go to Chitrakoot. There is a shrine for Tulsidas here. Ramayana carries the name of 'Sita Charithra' and 'Poulasthya vadam'. Many people have translated Ramayana to different languages. Sri Tulsidas translated Ramayana into Hindi language - called 'Rama charita Manas'. This place is called 'Prabhu Ghaat' - the banks of Yamuna. 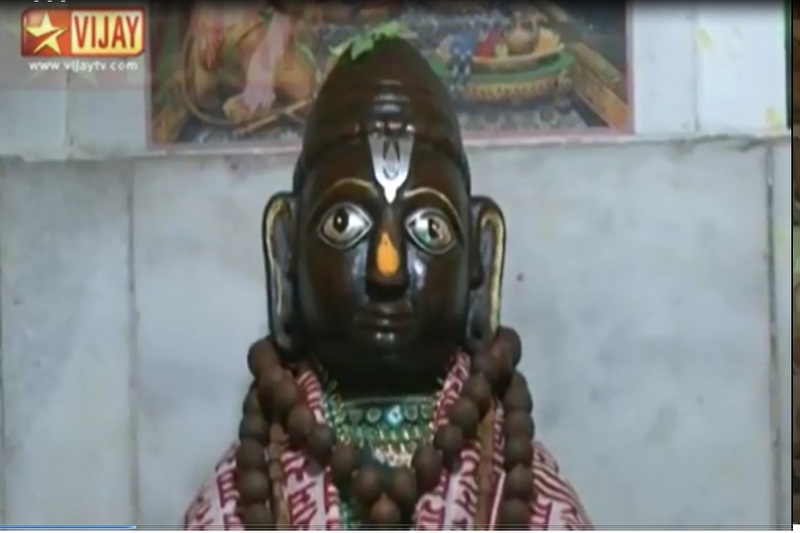 The vigraha of Tulsidas found in this place is what has been placed in Sri Tulsidas shrine. In Kasi, Asee Ghat, is the place where he left earth. 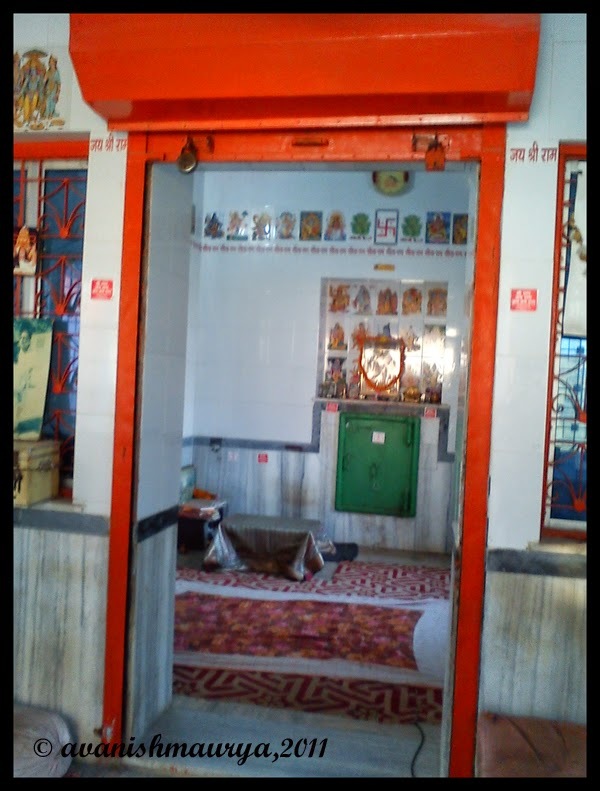 His sishya named Ganpath Ram brought Rama charit manas handwritten work, his padaraksha and his Narasimha Shaligrama from Asee Ghat to this place where Tulsidas's family lived. In Sri Tulsidas's household, it was his wife Srimati Buddhimathi devi who stimulated him to take up Sannyas ashrama. Sri Tulsidas manifested himself in their dream (after his demise) and told them that his vigraha is there in Prabhu Ghat which can be found and installed in this shrine. 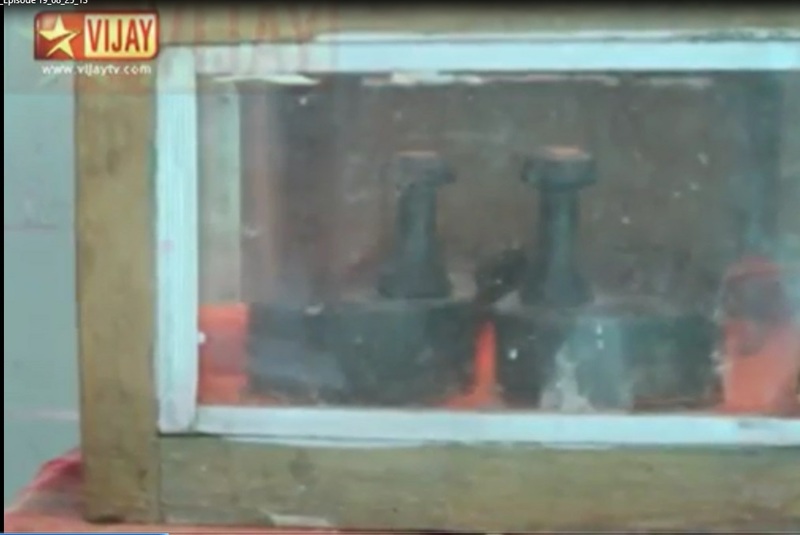 It was found as such and the shrine established where Sri Rama crossed the Yamuna river. There is a statue of Sri Tulsidas here, and there is Rama parivar there. This shrine is the actual house where all these sanctums are now established. 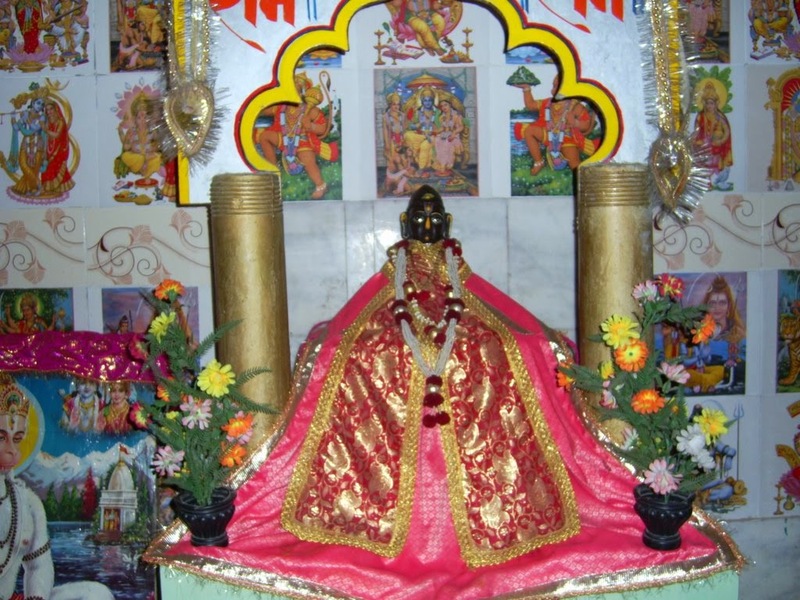 Sri Radha-krishna, Narasimha Saligrama, and his padukas are all found in this shrine. This is called 'Tulsidas Ghar'. This is an olden day palace. 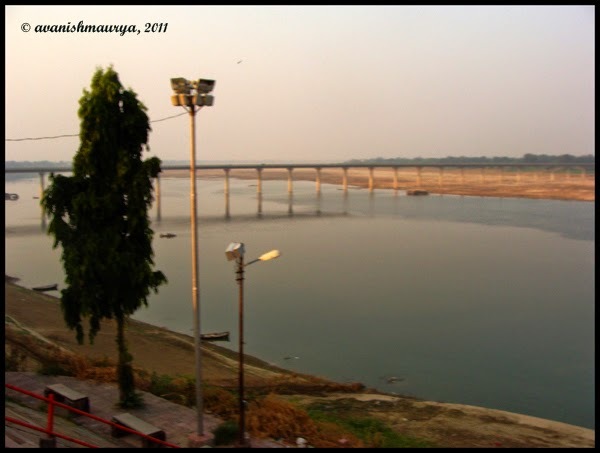 Prabhu Ghat is located before Chitrakoot on the banks of river Yamuna, the place where Lord Rama, Sita and Lakshmana crossed the river Yamuna to reach Chitrakoot. Rajapur occupies the place of Tulsidas’ birth. 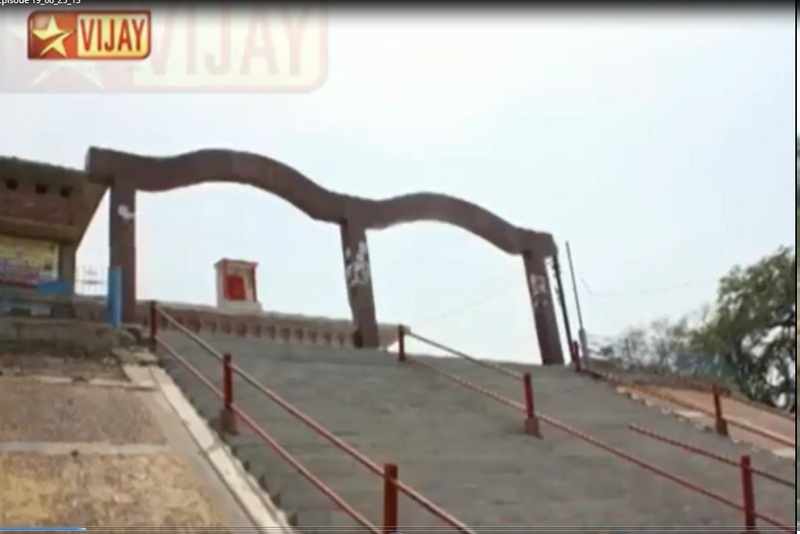 There are three places of importance in Rajapur. 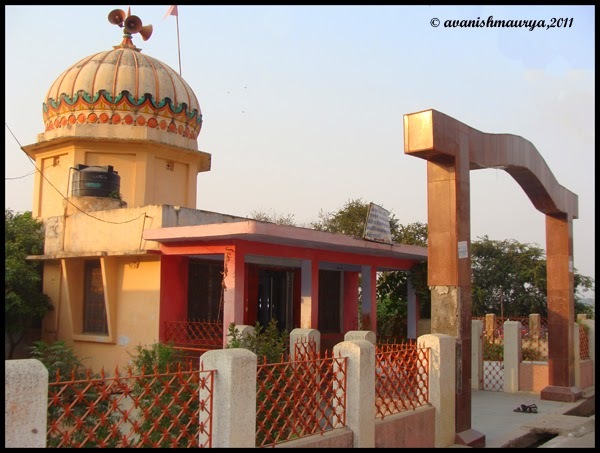 The ‘Tulsi Janam Kuteer’ is believed to be the place where Tulsidas was actually born. 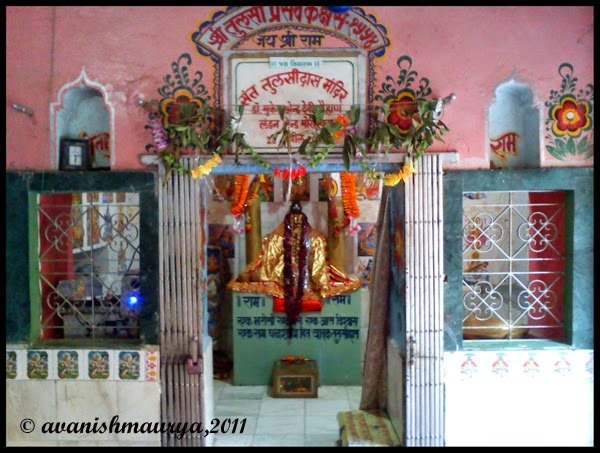 A temple has been erected and a marble statue of Tulsidas and Ram Lakshman Janki are based within the temple. The second place of significance is the small ‘Maanas Mandir’, which is home to the only existing text of the original Ramcharitmanas. Over years, it had been wrapped in a cloth and locked in a safe. In the last few decades, the Maanas has been partially laminated for survival and wrapped in many cloths. 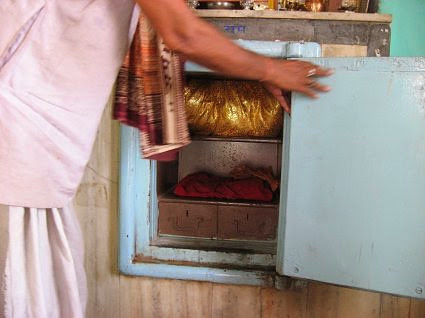 It is placed in a safe in the Maanas Mandir Rajapur and can be seen on request. 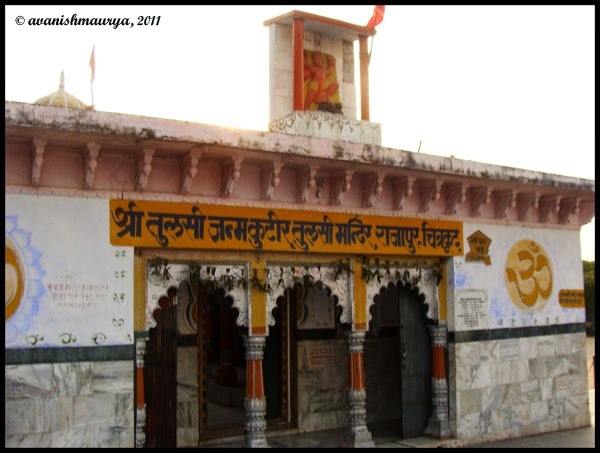 The Ayodhya Kaand is now the only remains of the original Maanas written by Tulsidasji. This copy of parts of the Maanas (Ayodhya-Kaand) is assumed to be from the original Maanas written by Tulsidasji Maharaj. 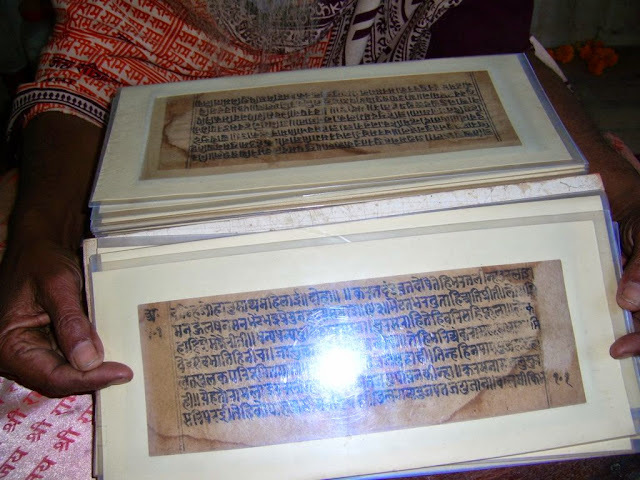 Thus, a manuscript of the Ayodhya-Kaand, said to be in the Tulsi’s own handwriting, exists at Rajapur in Banda, his reputed birthplace. A version of the Baal-Kaand, dated V.S 1661, nineteen years before his death, and carefully corrected by Tulsidas himself, is said to be at Ayodhya. Today, due credit goes to the publishers who have produced copies of the Maanas and other literatures of Tulsidas in large masses which have reached out to millions of people across the globe. It is with the efforts of these publishers that we too are able to carry out the recitations and readings of the Maanas. The inmates narrated Tulsidas's story - how he was plunged in sense gratification and was behind material pursuits. It so happened that out of eagerness to see his wife who was at her parents ‘place, Tulsidas risked his life by going out in the heavy rain and though the river was in full spate, he crossed over it by clinging to a dead body which was floating mistaking it to be a wooden raft, how he tried to enter the room in first floor by holding a serpent mistaking it to be a rope. He was chastised by his wife at his unworthy behaviour saying that he is unnecessarily showing his determination in achieving worldly pursuits and if he diverts his attention towards the Lord, who is the Protector of the entire Universe, his life would be of some worth. Wisdom dawned on him instantaneously. He praised his wife as his guru for having opened his eyes and left the place never to return. his dream ordering him to go to Ayodhya and sit in a particular place and compose Ramayanam in Hindi. Tulsidas left for Ayodhya and reached the place directed by Shiva. An old saint who was sitting there vacated his place. He prayed to Hanuman and with his grace, started composing Ram Charitra Manas. It is believed that Hanuman used to sit in front of him and approve his song. He had an earnest desire to have Sri Rama’s darshan and pleaded Hanuman to help him out. Hanuman granted his request saying that the Lord would appear the next day at a particular place (the present Ramtek). Next day, true to HIS words, Lord gave darshan in the form of two youth aged about 12 years in the temple but Tulsidas could not recognize them. Later Hanuman told him that the 2 boys were Rama and Lakshmana. Tulsidas repented that he could not recognize the Lord and intensified his sadhana. The Lord appeared with Sitadevi, Lakshmana and Hanumar and blessed the saint. people, it was difficult. When Tulsidas used to compose Ramayanam, it is said that Hanuman used to sit in front of him and nod his head. Glorifying the great Rama Bhakta-Sri Hanuman, he composed the famous “HANUMAN CHALISA” He has given to the world, the most priceless gem, “RAM CHARITRA MANAS” which is popular all over North India. donation) of this place to the government. Next, Sri Rama goes to Valmiki Ashram, asks for the route to Chitrakoot and goes there, let us follow.